Follow the musical growth and progress of Grace - Whether fronting a band or sitting in with musical heavyweights, Grace Kuch conveys a rare ease and instinct on blues guitar. 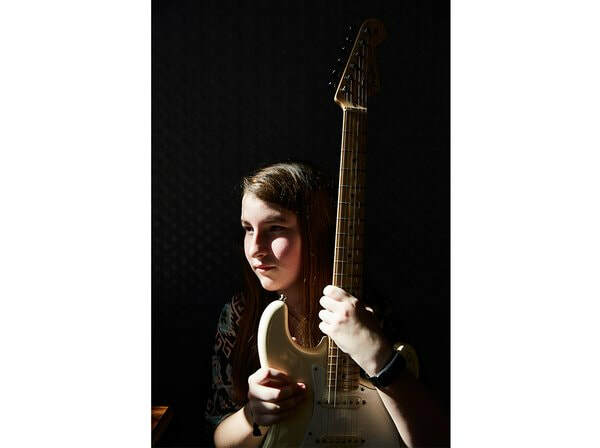 Just newly 15, she’s already distinguished herself nationally playing renowned venues across the U.S., including the Memphis International Blues Challenge, Greeley Blues Jam, King Biscuit Blues Festival, Big Blues Bender, and more. True to her name, she moves gracefully within traditional blues compositions on both acoustic and electric guitar, while her distinctive solos convey the keen clarity of a gifted young artist on the rise—and eager for more.